If you listen to binaural beats every day for sleeping and relaxation, it's worth it for you to consider investing in a good pair of headphones. 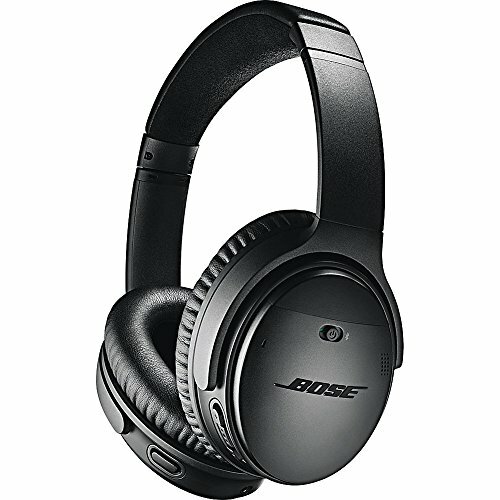 Bose QuietComfort 35, ATH-M50x and many more, that are well suited for the stereo sound and also for maximizing the effects you get out of binaural beats. You may still be finding an answer whether you need a pair of headphone or not. Yes, it's required. Let me explain to you why. As you may already know that binaural beats work by producing two tones which give rise to the third tone. Among the two tones, the one should be heard by the right ear and another from the left ear. For the third tone to be produced in your brain, the tones should be heard properly by your ears. Without headphones, this won't simply work. Let me explain to you why. As you may already know that binaural beats work by producing two tones which give rise to the third tone. Now, you know why headphones are necessary for binaural beats. There are some of the aspects you need to consider while buying a good pair of headphones for binaural beats. Binaural beats are carefully developed by taking frequencies into account accurately. In order for the headphones to accurately reproduce the frequency, the headphones should not add coloring or enhancements to the original audio track. Most of the mass-market headphones like Beats Solo, Skullcandy, adds coloring to the soundtrack making the headphones suitable for listening to specific genres. For example, these headphones are more suitable for bass-centric genres like rock and hip-hop. But you don't need any of these for listening to binaural beats. Some of the good studio headphones come with flat frequency response, which may be good for listening to binaural beats. This is one of the most important things you need to consider while buying headphones for binaural beats. The headphones should be comfortable without causing any pressure on your head or cause any heat after wearing for a long time. As you may be listening to binaural beats prior to sleep, the headphones should be comfortable to even wear on your couch. It should be thickly padded with comfortable foam so that it won't cause any discomfort during your long meditation hours. The headphones I'll mention below are comfortable according to our research. So, don't worry. The headphones should also isolate the outside noise effectively so that it won't interfere with your listening experience. Noise cancellation headphones that come at a cheap price may perform well in noise cancellation, but they cancel plenty of details in the prime track as well in the process. This won't be desirable in the case of binaural music. The closed back headphones that tightly seal your ears and prevent the external noise from entering the playback does the job well. You'll be using these headphones for hours together on a daily basis. So, you need to ensure that you treat yourself with a good headphone that's durable and comfortable. It's worth it. Have you heard of the Beats wired headphones? If you have, then you should know what to expect in terms of sound quality from the Shure SRH1540. I won’t describe the frequency response as flat, but it’s quite close. It has a very slight dip starting from the low mids up to the very high mids. I think the makers did this on purpose; they’re probably trying to appeal to the pop, trap and general hip hop audience. If you are one, you know a little sizzle and airy feel always sound good. The only possible downside to this frequency response is if you are listening to high volumes. That slight bump at the bass and high treble may become a little boomy and harsh. That being said, it reproduces frequencies accurately, so if you’re into binaural beats, the SRH1540 will serve you well. I cannot say the same for binaural recording however; the U-shaped frequency response may prove a little problem while recording. When you first look at the Shure SRH1540, you would expect some considerable weight on your head. Surprisingly, it is quite light for its size. You can use the headphones over your ears for hours without feeling discomfort. It’s one of the most ideal headphones for sleeping. Seriously, you could wear them all day and not feel a thing. Oh and the ear pads? – Gorgeous; both in look and feel. If you’re a binaural audio head, you may have issues using these for meditation, especially if your immediate environment is not very quiet. Perhaps you have that roommate that insists on watching TV when you want to do yoga and you just want to block them out? Yeah, SRH1540 will take sides with your roommate on this one. These Bose QuietComfort 35 headphones are known to provide greatest noise cancellation and comfort. These headphones are even loved by most of the air travelers, for the superior comfort and noise cancellation these headphones provide. Undoubtedly, these headphones also serve you well while listening to binaural beats. Bose headphones are generally good at the reproduction of bass. Whereas, this version of their headphones is almost flat/accurate without any coloring in terms of frequency response, which is desirable in the case of binaural beats. These headphones can also be used for listening to music. If you want some coloring, you can play with EQ levels to make headphones to sound good for the songs you are listening. These are wireless Bluetooth headphones. It means that once you pair these headphones with iPhone, you are free without any hassles and wires. These headphones offer good comfort as the name suggests. The pads are very soft and rest over your ears very comfortably without causing any heat. The headband also rests without any pressure on your head and is padded pretty well. The right earcup contains all the control button like on/off and pair buttons. When it comes to comfort, these​ Bose QuietComfort 35 headphones beat other headphones in the market out of the water. There's no complaint whatsoever. These Bose QuietComfort 35 headphones are top-notch when it comes to noise cancellation. The built-in noise cancelling mic that these headphones come with are great. As I've said earlier, in most of the noise canceling headphones, the crucial details and frequencies of the playback get canceled if you pay enough attention. But in the case of Bose QuietComfort 35, it's not the case. Just plug it in and activate noise cancellation, you'll dive into a place of peace and serenity. This is even in the crowded places or office. These Audio-Technica ATH-M50x headphones are actually most loved by studio junkies, audio mixers, and audiophiles for a reason. They are great at reproducing sound as it is without any coloring. The sound seems crystal clear without any enhancements. This means, with these headphones, you'll hear the binaural beats as it is without any coloring or alternations to sound good. Nevertheless, these also sound good for other music genres too. If you wish, you can make use of EQ on your music player to make them sound as you desire. The details of the sound leave you speechless. These are bass-centric headphones.The bass is balanced and not overpowering and do not leak to the mids. The headphones are very light, in fact, you tend to forget about the presence on headphones on your head after a certain time for use. The soft padding on the ear pads engulfs your ears making it very comfortable to wear on for extended periods of time. The headband puts perfect pressure on your head without clamping it down. You can swivel the ear cups in any direction, 90 degrees, so as to suit the shape of your head. Due to this swiveling feature, these Audio-Technica ATH-M50x headphones are easily folded and portable to be your travel companion. If you wear glasses, these ATH-M50x headphones may cause some stress on your frame and cause a little discomfort. These are not noise canceling headphones. But they do block external noise extremely good. The seal of the headphones is really great, and no sound leaks out whatsoever. Although the noise isolation is not as good as Bose QuietComfort 35, these are quite suitable for home or relatively silent environments. The Sony MDR7506 is a simple looking over-ear headset, quite portable with the collapsible design. It’s what you can call a “one size fits all”. If you use headphones for different activities; say you record, listen to music, edit podcasts and watch movies, the MDR7506 can prove very efficient – except you prefer to buy a different headphone for each use. Unlike beats bass boosted headphones, the Sony MDR7506 is actually the opposite. You will notice a slight emphasis on the high frequencies. This introduces some brightness into your music, and it seems to add a little more life to your listening experience. If you listen to high levels, you may not find this very nice because there may be some harshness resulting from the high-frequency bump. The MDR 7506 is definitely not for bassheads. These headphones are lightweight, so if that’s the only reason you choose in-ear earphones, you may want to have a rethink here. Of course, they do not offer as much freedom as wifi headphones, but the cable is long enough; you can always put it out of the way. The earcups may cause some irritation after long hours of use. It’s not a noise cancelling headset, so you should expect a bit of the outside world in your listening experience. Also, if you intend to use it in your office environment, be prepared to listen at moderate levels to reduce the high-frequency bleeds. These are absolutely great sounding headphones for the price. For some people, bass tends to be slight more on these. The headphones tend to add coloring and less neutral sounding when compared to studio headphones that have a flat response. The overall sound is well balanced, and the treble is warm without any piercing effect. If you are a bass lover, you'll certainly love it. 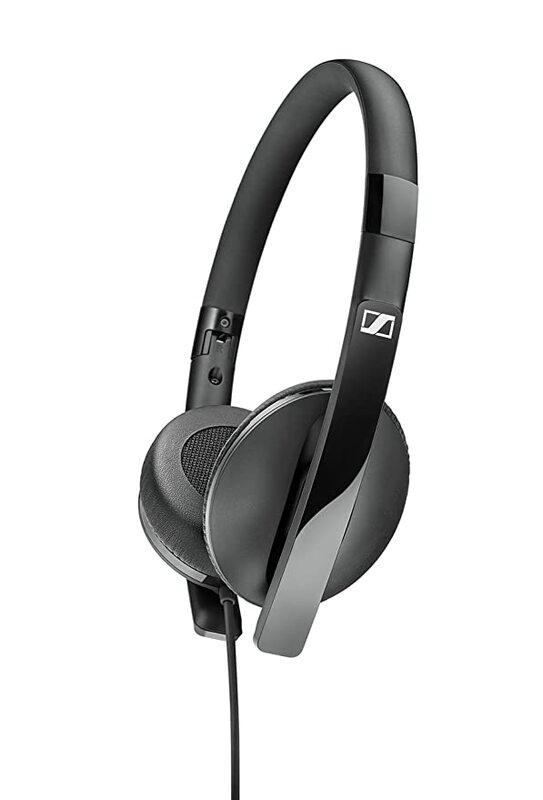 With a little EQ tweaking, these Sennheiser HD 202 II would be decent for hearing to binaural beats. The Sennheiser HD 202 II headphones cover your ears entirely keeping it cool throughout your listening session. The headband is light on your head without causing any pressure on your head like that of high-end Beyerdynamic models. The headphone cable is surprisingly long. At times, you need to wind it up (using a wrap that comes with it), especially when going for a walk with your mp3 player or so. Nevertheless, this longer cord allows you to move around freely. They are not noise canceling. But they do block most of the ambient noise quite effectively. But the sound leakage does exist. In a quite environment, the person behind you can easily hear the music. But, he may have hard time judging that you're hearing to binaural beats. These Sennheiser HD 202 II are not the best noise isolating headphones in the market. There are better high-end alternatives. The sound quality can't be compared to that of headphones that I've mentioned earlier. These headphones offer mediocre sound quality. But the sound quality is great for binaural beats meditation, sleeping, and relaxation. These almost sound like stock earbuds your smartphones come with. There's nothing to boast about the sound quality and details. But it does the job well for listening to binaural beats. These CozyPhones are comfortable than any of the headphones I mentioned in this post. When you sleep and turn to the side, the buds won't press and hurt your ears. These headphones are meant to be worn while relaxing and sleeping. The fabric is very soft and keeps the area cool throughout the night. The wireless version of these​ CozyPhones headphones is also available. Although the wireless version offers more comfort, I would not recommend you to expose to Bluetooth radiations all night long. It itself may cause insomnia. Once you position these CozyPhones headphones in the right place, you won't be feeling the presence of headphones at all. However, the cord should not be pulled, as the position in which you are wearing the buds will change. You can wear these on without worrying about the snoring of your spouse. If you are sleeping or meditating in a potentially noisy environment these headphones offer good isolation at higher volumes. These are not noise canceling, but they do isolate an ample of noise especially at night. If you are looking for noise canceling headphones then this is not highly suitable for you. The Shure SE215-K earbuds are better if you are looking for earbuds for listening to binaural beats. One of the reasons is the accurate reproduction of the sound. The sound is heard as it is, no coloring at all. This helps you to get the most out of the binaural or brainwave entrainment you listen to. The silicone flange ear tips cause your ears to pick little more bass but the other ear tips offer neutral sound. These earbuds are great at vocals and treble range. The sound is crystal clear. At any case, the bass does not overpower the music. These are definitely neutral sounding. These earbuds come with 3 different sizes of foam sleeves that ensure a perfect fit. The cable is flexible and ensures perfect mold around your ears. These Shure SE215-K earbuds are great for long listening sessions. They won't easily fall out while running or walking due to the secure fit that they offer, in and around your ears. The tight seal offered by the ear tips ensure that the earbuds offer great sound isolation. The level to which these ear tips provide passive isolation can be compared to active noise canceling earbuds. These absolutely block an ample of ambient noise. While on the move, when the earbud cables rub against your shirt fabrics, there tends to be some cable noise. However, this should not bother you unless you are an audiophile or wear these on while running. These are some of the best headphones you can consider if you listen to binaural beats for relaxation, meditation, and sleeping. Make sure that the headphones you opt for, produces the sound accurately and offers comfort for long sessions and therapeutic benefit. Tend to stay away from Bluetooth headphones as the Bluetooth exposure can harm your health. As you'll be listening to the Binaural beats for hours together, investing in a good pair of headphones saves you a lot of money in long run. Hope you found this blog post helpful. Great post on binaural headphones. Actually I'm using HD800, after reading your post I'm thinking to give Bose a try. I'll be mainly using it for Brain.fm. Good write up! Found this post helpful.